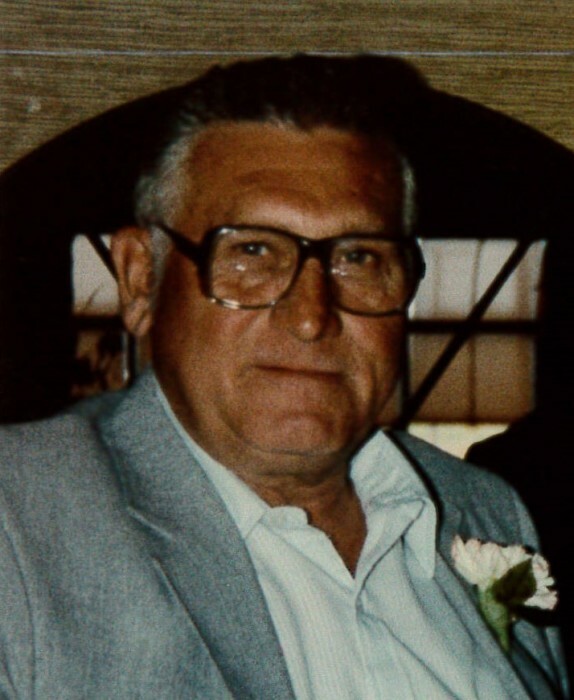 Jack D. Weir, age 85 of Westfield, passed away peacefully with his wife by his side on Wednesday, March 20, 2019 at Divine Savior Hospital in Portage. He was born on January 14, 1934 in the Town of Springfield to William and Elsie (Traver) Weir. Jack proudly served his country in the United States Army. He married Idella Buschke but they later divorced. Jack then married Mary Sue Goodhue on October 13, 1989 in Westfield. He owned the Mobil distributorship and the Spur Service Station in Westfield. Jack had held several other jobs throughout the years being a jack of all trades. He loved to restore antique cars and tractors and spend time with family and friends. Survivors include his wife, Mary Sue; three children, Debra Dahl, FL, Mark Weir, FL/Westfield and Gary Weir, Town of Newton; two step children, Sarah Sines, Portage and Cory Sines, Madison; nine grandchildren, Brandon Dahl, Shanna Weir, Amber Brakebush, Tyler and Janel Weir, Sam Sines, Hayley and Logan Hewitt and Chloe Sines; two great grandchildren, Trinity and Lyric; one sister, Sandra Dornacker; one brother, Roger (Vivian) Weir; two brothers in law Duane Reichhoff and Curtis Laing; many other relatives and friends. Jack was preceded in death by his parents; two sisters, Charlotte Reichhoff and Hope Laing; one brother, Dale (Sandy) Weir. A memorial service for Jack will be held on Saturday, May 4, 2019 at 11:00 a.m. at Trinity Ev. Lutheran Church in Packwaukee with Rev. Larry Sheppard officiating. A visitation will be held from 10:00 a.m. until the hour of service. Inurnment will be in Pleasant View Cemetery, Town of Springfield at a later date. In lieu of flowers, memorials are appreciated to the family. The family would like to thank Marquette County EMS, Divine Savior Hospital and the Montello Care Center for their kind and compassionate care of Jack. Please take a moment to view the online guestbook. Send your condolences or share a memory of Jack with his family & friends. There's still time to send flowers to the Visitation at the Trinity Ev. Lutheran Church from 10:00 AM to 11:00 AM on May 4, 2019.